"He's a 'breed'. The other kids - the older kids - they lived in Denver around white people for two years. The little guy, Eugene, he's never been as a far as Rapid City. He speaks Lakota. He's never seen his white dad. But to you the other kids are more Indian." "Racially, I guess they are." "And that's what matters to make them Indian to you?" "I guess. I don't know." This conversation was far too loaded. "See, that's the way it is with you white people. It's like race is the biggest thing. It wasn't forty years ago they still divided kids in school into groups. Full-bloods, half-bloods, and quarter-bloods. Made them hold up signs. Then took pictures. Those were just kids, and they divided up like they were some kind of damn recipe or something. It's one of the things that surprises white people when they first come to a reservation. A lot of the kids don't look like Indians. Some of them are blond, like Eugene, or readhead. Some have blue eyes. That bothers white people. We can see it. You talk different to those kids. 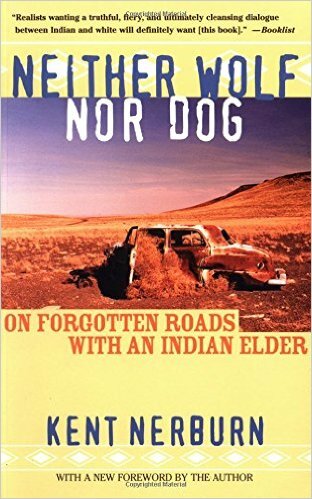 They aren't real Indians to you. Every Indian notices this. Those kids are Indians to us, but not to you. Since your people first came over here we have been taking white people and letting them live with us. They have become Indians and we think that's fine. But it drives you crazy. In the old days, during all the fighting, people would be captured, or we find someone without a home - you know there were a lot of kids without parents - there parents were killed in accidents or maybe in the Civil War. We took those kids and those other people and let them live with us. We made them Indians. When they had children with one of our people, the children were Indians. Nowadays it's more like some woman having a kid with a white man. But if one of those children went back with your people, they're not white. You don't see the white half and claim them. Then you see the Indian half and call them a half-breed. They get teased in school. Called 'Tonto' or 'Pocahontas'. We know. The kids come back and tell us. All we cared about was the way they were raised and the people they became. 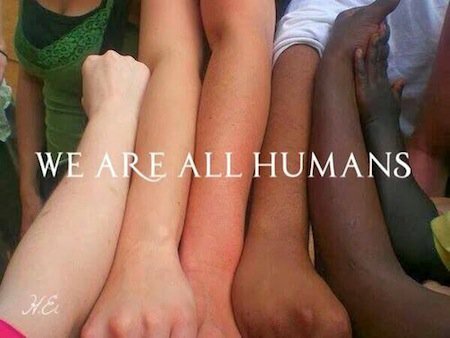 You looked at the color of their skin and the color of their hair and you started dividing them up to see how much white they had in them! You called them half-breeds. Wouldn't let them be white and wouldn't let them be Indians. That's just the way it is. Race is the biggest thing to white people. You can see it yourself. All you have to do is watch white people talk to people who aren't white. Sooner or later they're going to bring up race. Black people have told me it's the same for them too. You white people just seem to see race first, no matter what. Then the really funny thing is that you pretend that you don't see race. It's all part of a big lie you live. It's like race is the biggest thing you see, but it's the hardest thing for you to talk about. White people are afraid of everyone who isn't white. Look at how you define black people. If a person had one black ancestor back somewhere, and you can see it, you tell them they are black. Everybody for the last thousand years might have been white, but one grandparent was black, then you tell that person they are black. You don't do that with Italians or Irish. You don't say they're Italian if they have one old grandma somewhere who came over on a boat a hundred years ago. But one black grandma? Bingo, you're black. Think about it. See, we do it the other way. One Indian, and you're an Indian if you want to be. For white people, you've got to have all white people to be white. One person who's not white, and that kid is an outsider forever. We only need one Indian to be an Indian. Do you see what I mean? You've got all sorts of rules that you don't even know. Like, it's okay for white people to adopt Chinese kids, but it's not okay for Chinese people to adopt white kids. Or when different races go out together, the men are always supposed to be white. If a white man is with a black woman, then he's a liberal. But if a black man is with a white woman, he must be a pimp. It's the same with Indians. If a white man is with an Indian woman, it might be okay. That's the way they like to do it in the movies. But if an Indian man is with a white woman, there's something wrong with her that she would choose to be with one of 'those people '. I think it has to do with conquering. The white man has to be in control. If there is a man of a different color who is in control of a white woman, either there has to be something wrong with her or there is something bad about him. She's a captive or a renegade. I mean why would a decent white woman ever want to be with an Indian man? Right? It's the same about kids. If a white person marries someone who's not white, and they have children, it's okay if the kids are raised like white people, at least while the kids are still small. But if they're raised as Indians or blacks or something else, you say, 'Oh, that poor kid. He doesn't really belong anywhere '. Well, if that kid has an Indian parent, they belong with us. We believe that. We don't give them any tests or put them in groups according to how much Indian blood they have in them. Bin Laden zijn verhaal haalde nauwelijks de westerse media. Westerse regeringen steunden al decennia lang met geld, wapens en inlichtingen de belangrijkste Arabische dictaturen, met name Saudi-Arabië en de golfstaten, Egypte, Jordanië, Tunesië en Algerije. Naar die westerse inmenging verwees Bin Laden in iedere video en zijn boodschap was samen te vatten in twee woorden: rot op. Er was ook een langere versie en die ging ongeveer zo: moslims zijn arm en onderdrukt en uitgebuit door dictators. Jullie westerlingen steunen die dictators. Als we jullie aanvallen, drijven we een wig tussen de dictators en jullie. 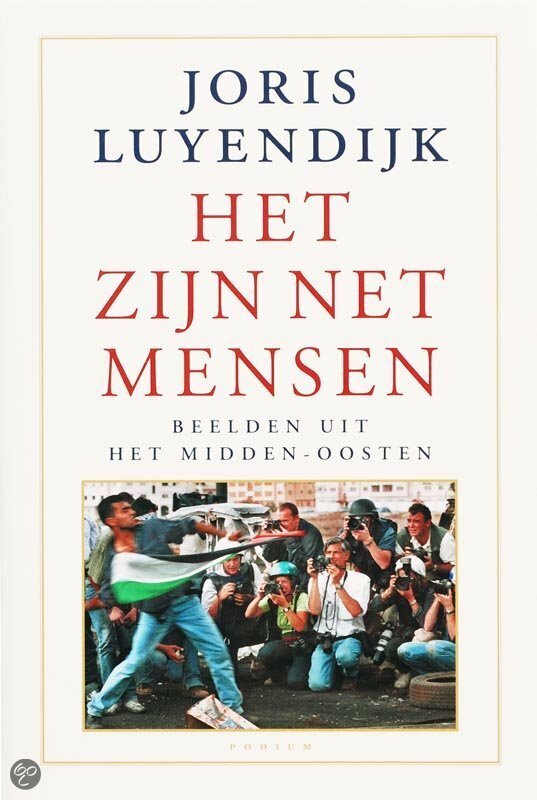 In ieder geval vestigingen we de aandacht van gewone moslims op de steun die hun onderdrukkers uit het westen krijgen. Dan komen de dictators ten val en kunnen wij beginnen aan de wederopbouw van ons gebied. Prominenten in het westen noemen de aanslagen van 11 september vaak een 'frontale aanval op de westerse beschaving '. Maar wie kijkt naar Bin Ladens verhaal, ziet dat hij zijn programma juist presenteert als zelfverdediging. En het westen - of beter Amerika - mocht een dreun hebben gekregen, Al-Qaida's pijlen zijn gericht op het Saudische koningshuis, het regime in Caïro en de andere Arabische dictators. Volgens Bin Laden zit de Islamitische wereld in een burgeroorlog, Amerika steunt in die oorlog zijn tegenstander en daarom kreeg Amerika een klap. 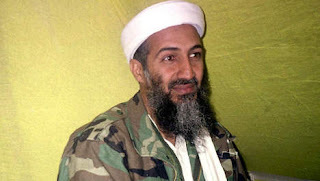 Maar Al-Qaida wil niet de baas worden in New-York of Londen. Mekka, dat is de hoofdprijs. 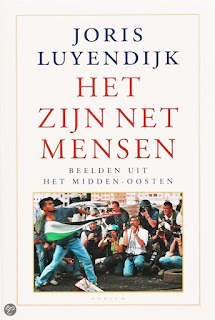 Dit deel van Bin Ladens boodschap bleef vrijwel buiten de westerse nieuwsstroom, en zo hoorden maar weinig westerlingen alle motieven van hun vijand. Er kwam in het westen geen debat over de steun aan de dictators, en prominenten bleven moslims in de islamitische wereld oproepen om 'de discussie over hun geloof' aan te gaan. Maar een moslim die in een sleutelland als Egypte of Saudi-Arabië een debat begint over de interpretatie van de islam, gaat direct naar de gevangenis want praten over geloof is praten over politiek. En in de gevangenis wordt die moslim gemarteld door iemand die daarvoor is getraind door de CIA. Als ik de Arabische wereld in een beeld moet samenvatten, kies ik voor de showprocessen: regimes die al dan niet in het geniep alle oppositie kapot trappen met het argument 'terroristen!' Het westen dat erbij staat, ernaar kijkt en waar nodig een handje helpt. En dus een oppositie waarvan nooit duidelijk kan worden of het de islamitische variant is van het fascisme, of van de christen-democratie. De waarheid is zoek in dictaturen, dat maakt die systemen zo taai.